HighPoint's Rocket 600 series are the industry's most affordable SATA 6Gb/s PCI-Express 2.0 HBA's. These best-selling host controllers are the ideal low-cost storage upgrade for any desktop PC, and support up to 4 internal or external SATA hard drives and SSD's. 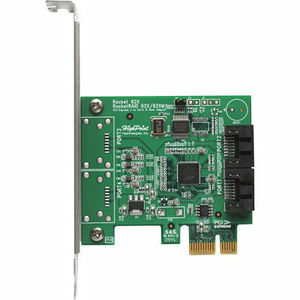 Rocket 600 series HBA's are industry AHCI compliant SATA 6Gb/s Host controllers.